Chapel Hill may be one of the most well-known towns in Orange County, NC, but there are treasures that many travelers have yet to explore. While there isn’t much here that’s completely undiscovered, there’s plenty that might not necessarily be top-of-mind while you’re planning a trip. We suggest sprinkling in a few of these hidden gems among hot spots like UNC’s campus and Franklin Street for a truly one of a kind experience. These four spots enrich our area artistically, naturally and culturally—and they’re sure to enrich your experience when you visit Chapel Hill. We bet you didn’t think that there was anything near Franklin Street that isn’t already largely popular. Although this place serves as a study spot for some students and a quiet oasis for locals, it’s hard for visitors to the area to notice Caffe Driade. It takes a short walk through a canopy of trees to find this oasis in the middle of a heavily-wooded area. There sits a charming, European-inspired café that provides a welcoming presence to those in need of a delicious coffee, a hot tea or freshly baked goods. Although this café is secluded, it’s hopping with activity throughout the month. View pieces by visual artists, take guided meditation classes and listen to showcases from local musicians all in one place. If you’re willing to try something off the beaten path, it can lead you to this charming local business with award-winning coffee. If you’re looking for world-class entertainment without the big ticket price, turn to the PlayMakers Repertory Company. 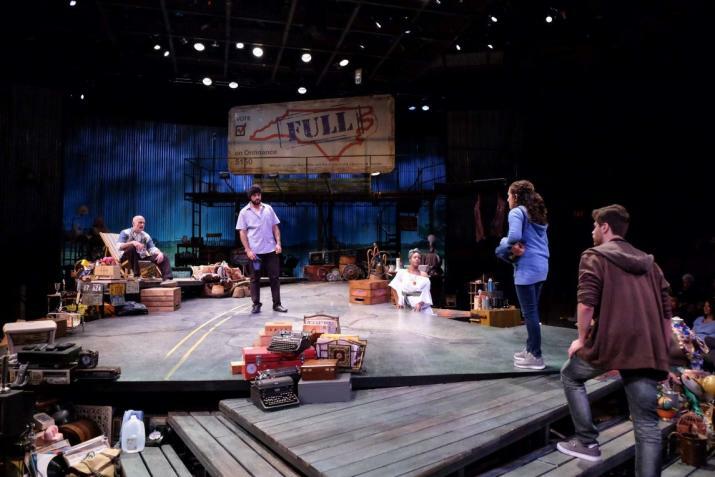 As the professional theatre in residence for UNC’s Department of Dramatic Art, this company has a tie to arts education, but it’s far from amateur. Find performances of theatrical classics, or new shows that push the boundaries of tradition. With a vision for artistic excellence and a commitment to diversity, this company brings together playwrights and actors from far and wide that provide transformational entertainment. If you’re a true theater geek, you can enrich your experience further through post-show discussions or community events that give you a closer look at the artists’ work. Make sure to check out special offers and discounts before you plan your visit! 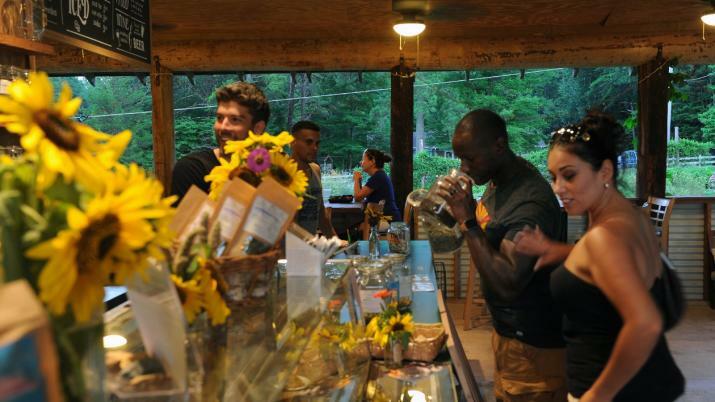 This unique “farm to fork” restaurant operates on a business model of love and compassion. Vimala, the restaurant’s owner and chef, brings beautiful recipes from her childhood to life while advancing her platform of sustainability, affordability and community-based values. Locals praise Vimala for her samosas, Tandoori chicken and roti. Even better than the amazing food is her willingness to help others, instituting a pay-what-you-can model for some customers. It’s no secret that this hidden gem radiates throughout the entire community. The herb gardens, swinging hammocks and open farm fields surrounding Honeysuckle Tea House are the perfect setting for a warm drink and an afternoon of meditation. 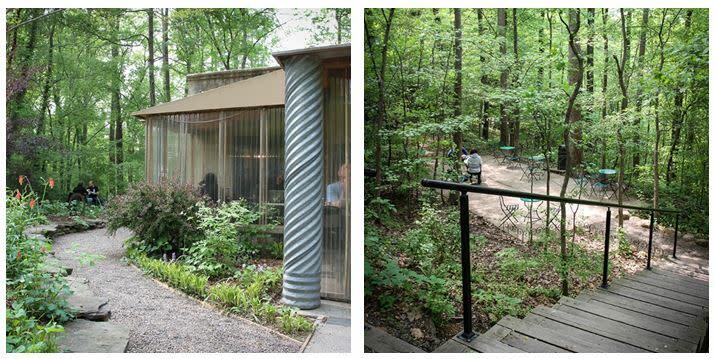 Sitting in an open-air structure made of recycled material, this little café is a unique space for the health conscious visitor. If you’re in need of some peace of mind, grab a calming, medicinal tea and take a stroll along the mandala gardens. The tranquility that you’ll experience is more than worth the 15 minute drive from downtown Chapel Hill.